After taking part in Bloggers Love Hub twitter party last week where you were able to interact with brands and request gifting opportunities for certain products, I was so happy when I got this. Now I have been lucky enough to review one of Nanshy's products before and when they sent me this product I couldn't wait to use it! 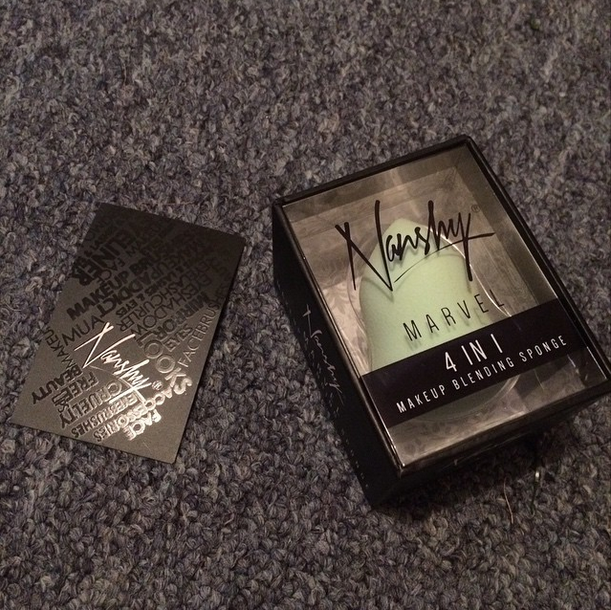 Nanshy are a beauty brand that pride themselves on making beauty tools that are 100% cruelty free and I was lucky enough to be gifted their 4-in-1 foundation blending sponge. This is very similar to the Beauty Blender and the blending sponge by Real Techniques but it is the shape of this sponge that is the amazing part! I am a massive fan of the packaging for this product, it is really sleek and classy with the black box. I also really like the fact that you can see the sponge through the packaging because if that was on a shelf you would still be able to see the shape before you bought it! I also think the price of this product is amazing at only £5.95 compared to other products that are similar that sell for 3 times the price. I definitely think this is on par with the quality of the more expensive ones so why spend even more when you can get it for less. In addition considering it is cruelty free product this is definitely an amazing price! I have been using this for the blending in my foundation and concealer and I have loved it! It makes my foundation look really flawless as there are no brush stroke marks and it evenly distributed the product across my whole face. In addition it is perfect for blending concealer in as it has a pointed tip which makes it easy to blend product around your nose and the smaller areas around your eyes. I have yet to wash this product but I am eager to see how it goes because this is where I have had trouble with other similar products, they just don't wash properly and there is product left in the sponge after scrubbing for ages. As soon as I have wash the sponge I will be sure to update you on how that goes because that's probably going to be make or break for me! Nanshy themselves have an entire blog post dedicated to the sponge and how you use it so I will link this in down here so you can go over and have a read of that! I will also leave the link to where you can buy it hereif any of you want to purchase one, seriously it will change your life! Let me know in the comments if you have this sponge and if you do what do you use it for. I shall see you all tomorrow!